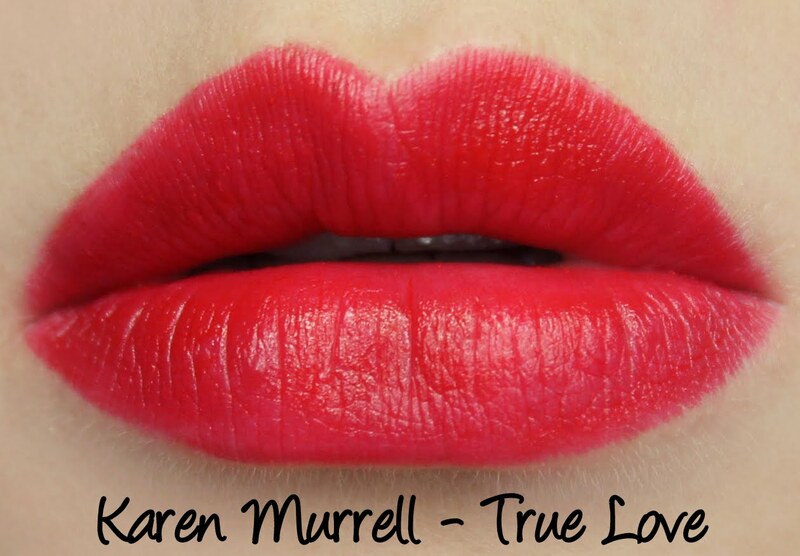 Karen Murrell recently launched their twentieth addition to their lipstick line and it's a stunner! 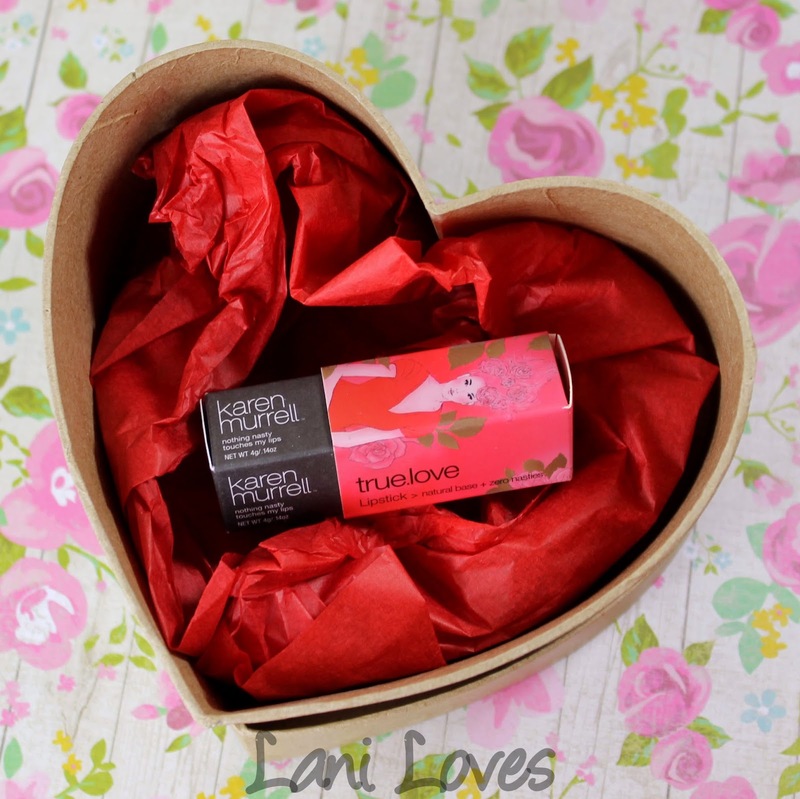 True Love is a vibrant classic red in special limited edition bronze packaging. 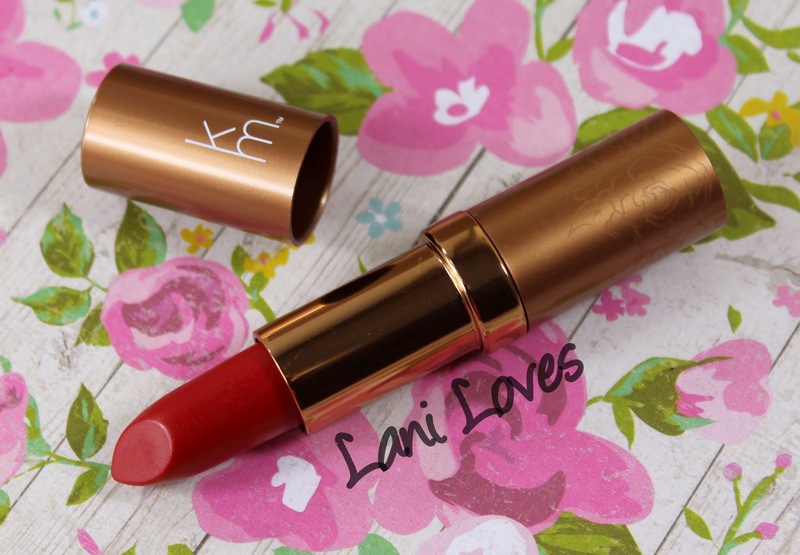 I really enjoy using the other Karen Murrell lipsticks I have so I was absolutely thrilled to receive this latest offering for review. Always spectacularly packaged, True Love features a woman in red fairly blooming with roses, both literal and metaphorical, in her hair and cheeks and all around her. The shimmering bronze casing is a pretty twist on the usual matte black packaging. 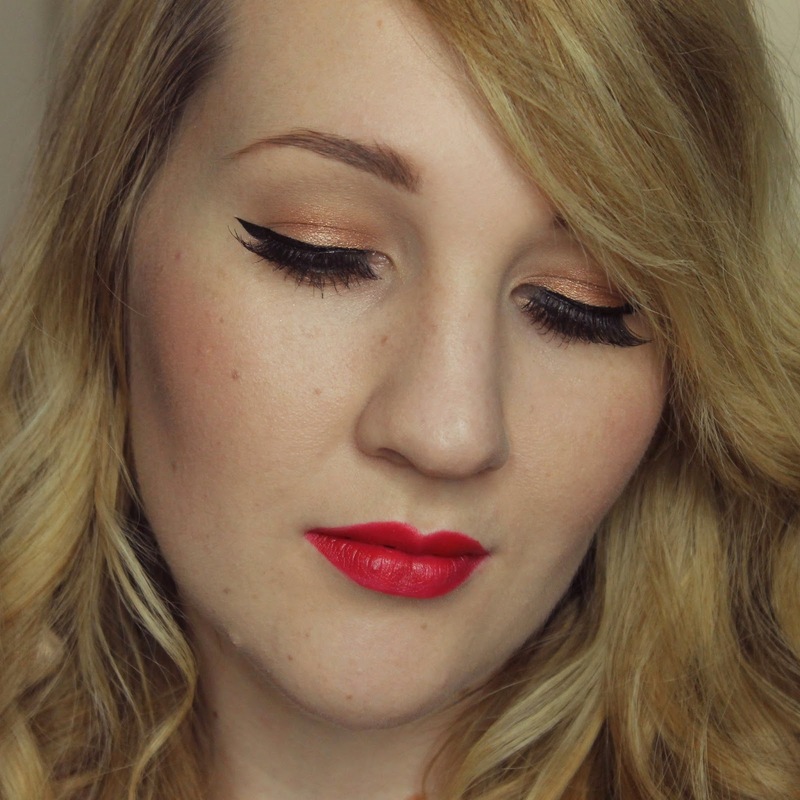 I love the subtle floral design at the base of the lipstick. 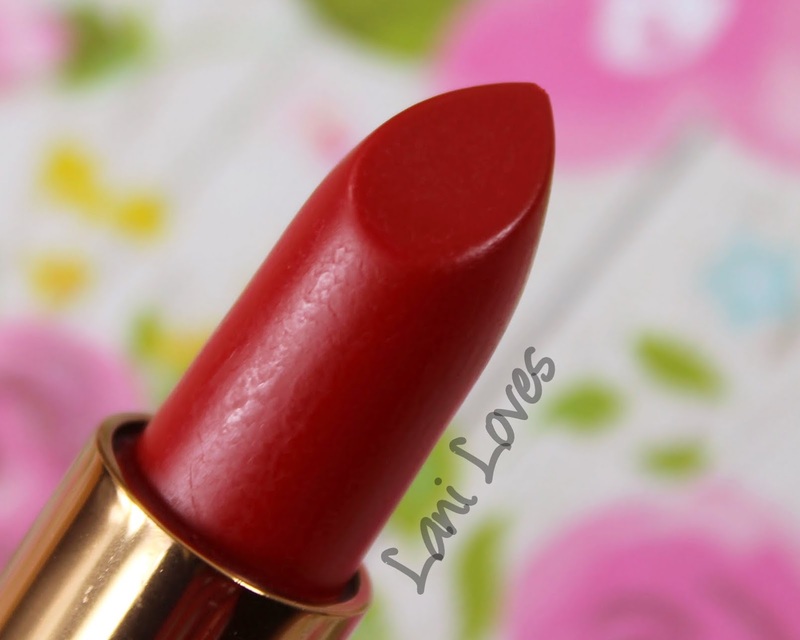 As usual, the lipstick tube is sturdy and well made with a colour matched name label on the bottom of the tube. True Love is a classic blue based red shade which has hints of pinkiness on me. Like many of Karen Murrell's lipsticks, it has buildable colour pay off, allowing it to be applied sheerly or full strength (as is my preference). True Love wears for six hours on me without feathering or migrating and isn'the drying. As a bit of a bonus, KM lipsticks lend themselves incredibly well to doubling as blush as they are rather solid with a satin finish. This solidity doesn't cause them to pull or tug at the lips, they just aren't emollient the way some brands are and for a cheek product that can be a very good thing. The buildable formula is just begging to be sheered out on cheeks and is the perfect compliment to the bolder lip colour. 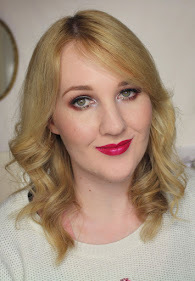 I will have to do a FOTD with True Love on the cheeks soon - you can see two other Karen Murrell shades in action on cheeks and lips in their respective review posts: Sugar Rush and Racy Rata. 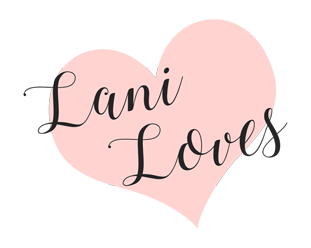 What do you think of True Love? 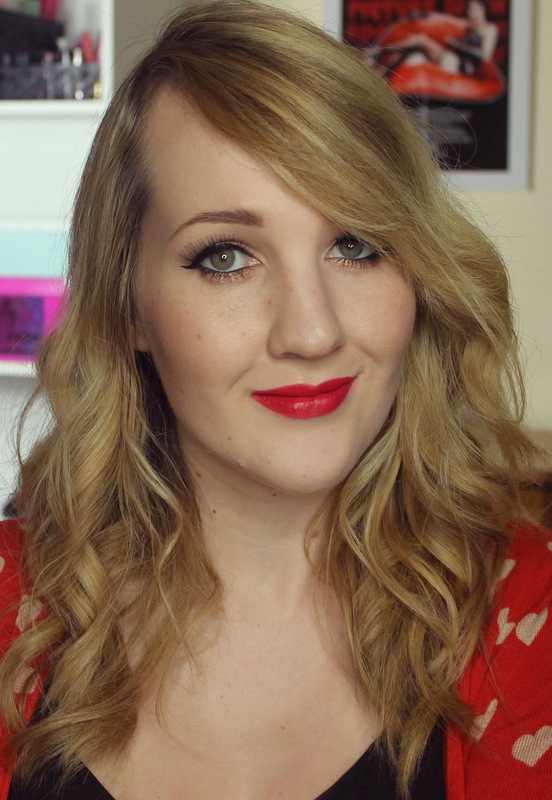 Do you have a favourite red lipstick?